The conference will be held at Keio University's Mita Campus. 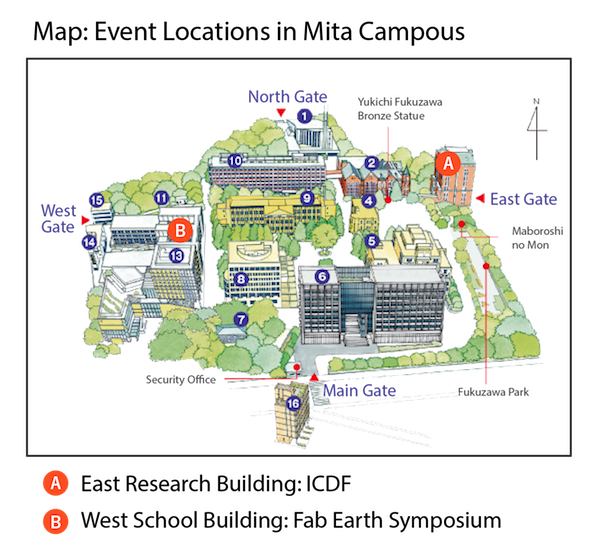 Located in the middle of Tokyo's urban district, campus has a good access from both Narita and Haneda Airports. Please see the directions from the University's web site . East Building right at the East Gate of the Campus is where our conference sessions are held. We are also preparing a special program for guest speakers from Japan and abroad. Please check back our program page later for more details. One of the closest hotels to the venue is Hotel Celestine. We have secured a number of rooms for the conference participants with a discount rate. Please let us know if you would like to stay at the hotel by filling out the form here: FORM (Google) . In choosing your hotel, it is perhaps better to pick some hotel close to stations on one of these lines. The address of the venue, Mita Campus of Keio University, can be found in the University's web site.